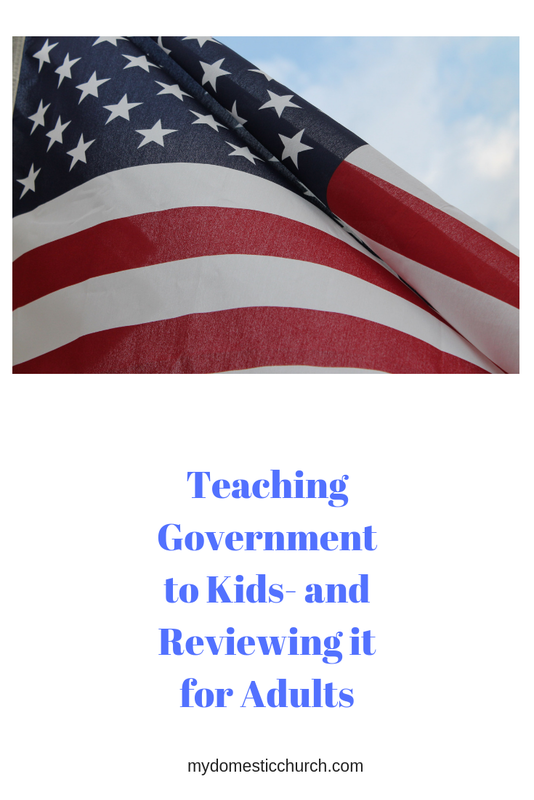 Teaching Government to Kids- and Reviewing it for Adults. These last few weeks of national politics have been interesting as well as confusing. Many adults on Twitter and Facebook have expressed confusion on things like Senate Rules and what it takes to be on the Supreme Court. Civics is a required high school class. In my opinion, it is best taught right after or along with early American History. The two certainly compliment each other. In fact with Rosie, I hope to do American History, Civics, and American Literature all at the same time so that she is totally emersed in American heritage. If you have a child that is really interested in the topic, you may want to check out A Noble Experiment. This is student-driven and includes a DVD and student notebook as well as a teacher CD. If your child is a self-starter, is interesting in delving into primary documents, this is a good course. I think it could even be considered an honors level high school course. My students with learning problems needed something a little more traditional so I used American Government in Christian Perspective. For some, I had to do most of the reading but it was just easier for them to do the lesson with me and then answer questions and do the test. I do feel that at the end of the course they had a good basic understanding of how our government works. This book has a lot of advantages. It is written for grades 8-10. It gives information in bite-sized pieces that are easy to read and understand and it follows the actual format of the United States Constitution. It is also super affordable. I doubt that it is NCAA approved, but I think if you paired it with something like the Abecka Textbook it could be very helpful. For kids not planning to be college athletes, I this might be a great stand-alone text.